We continue the Book Series Contemporary Fundamental Physics. 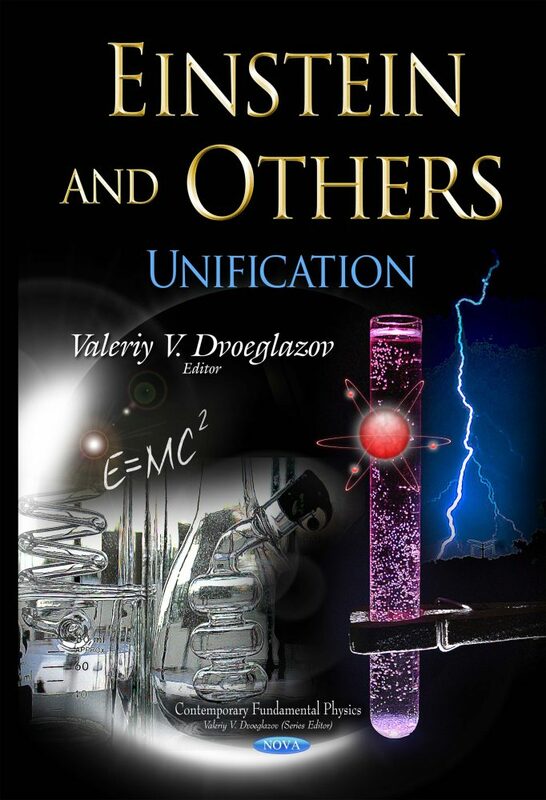 The thematic issue Einstein and Others: Unification contains articles related to the problem of the unification of interactions and to other fundamental problems of the modern physics. The book includes an Editorial Introduction, and nine articles. This book may be considered as continuation of the books Einstein and Poincare: The Physical Vacuum and Einstein and Hilbert: Dark Matter, published by us a few years ago. The authors are: S. Capozziello, M. De Laurentis, L. Fabbri and S. Vignolo, D. J. Cirilo Lombardo, S. I. Kruglov, V. V. Varlamov and M. V. Beloborodova, C. Pierre, W. A. Rodrigues Jr. and E. Capelas de Oliveira, A. Krasulin, and V. V. Dvoeglazov.